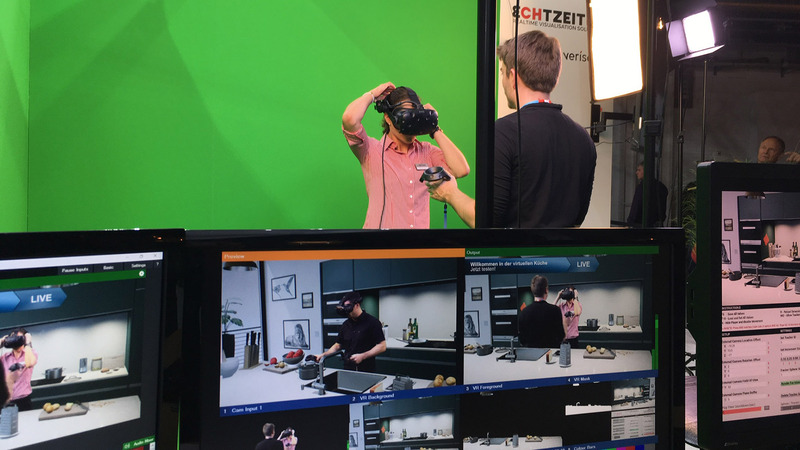 On the occasion of SwissBau Basel in January 2018, Echtzeit GmbH realized a virtual walk-in kitchen for Veriset AG in Root, the largest kitchen manufacturer in Switzerland. The digital exhibition kitchen accurately reproduces scale and proportions, is freely accessible and can be used and modified interactively. 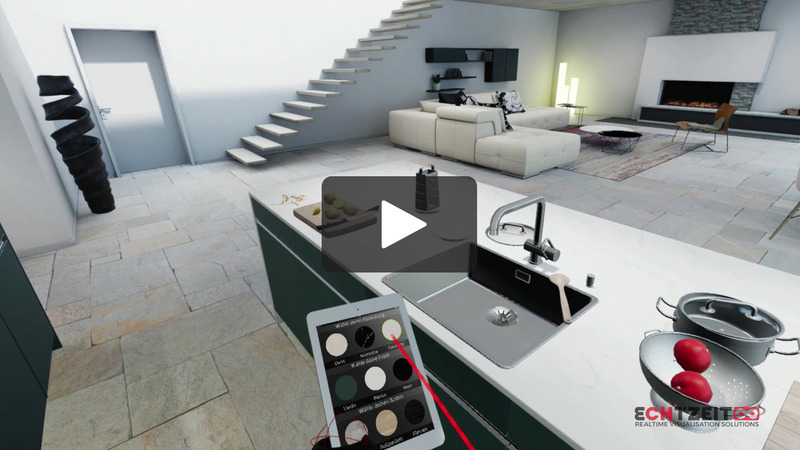 This enables the consumer to quickly and easily find out whether the arrangement of cabinets and drawers, the dimensions of the installation and the choice of built-in appliances meet his wishes and ideas. 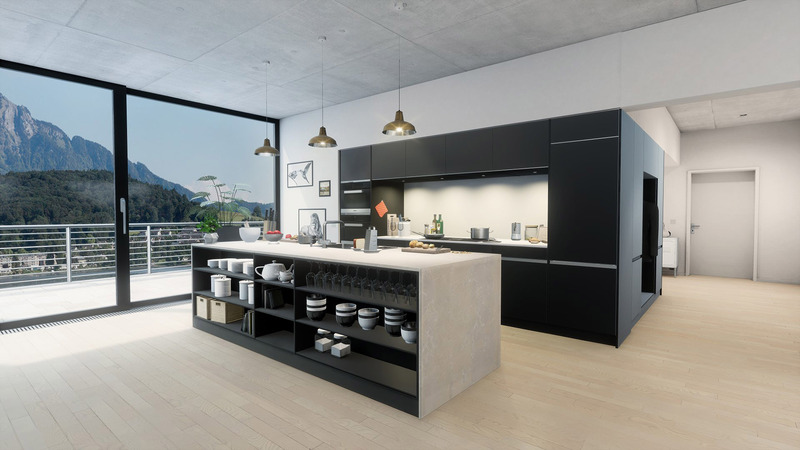 The surface materials and colours of the kitchen housing, front and cover can be adjusted and combined directly by the user in real time using the given collection in order to make the right decisions quickly, playfully and intuitively. 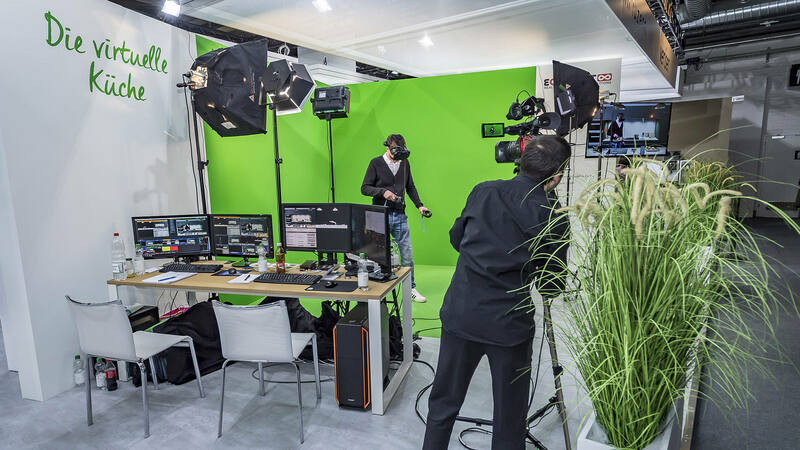 In the innovative Mixed Reality Setup, visitors to the fair were integrated into the digital world by means of a green-screen installation and the result displayed on a TV screen. 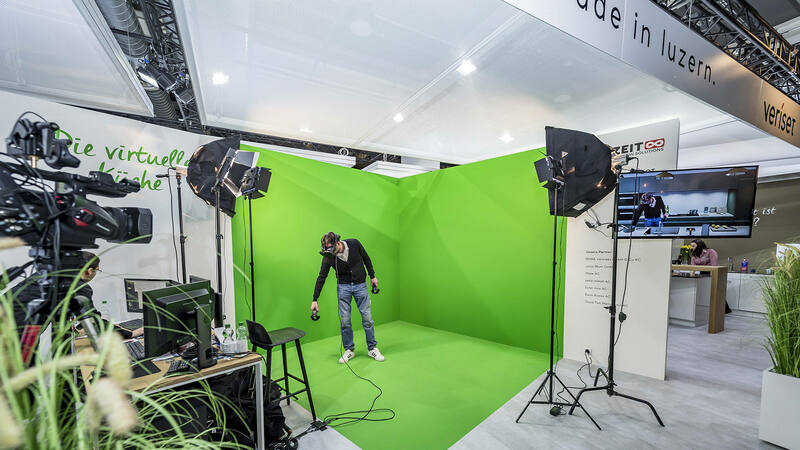 This made the trade fair project an unforgettable experience not only for users, but also for consultants and spectators. 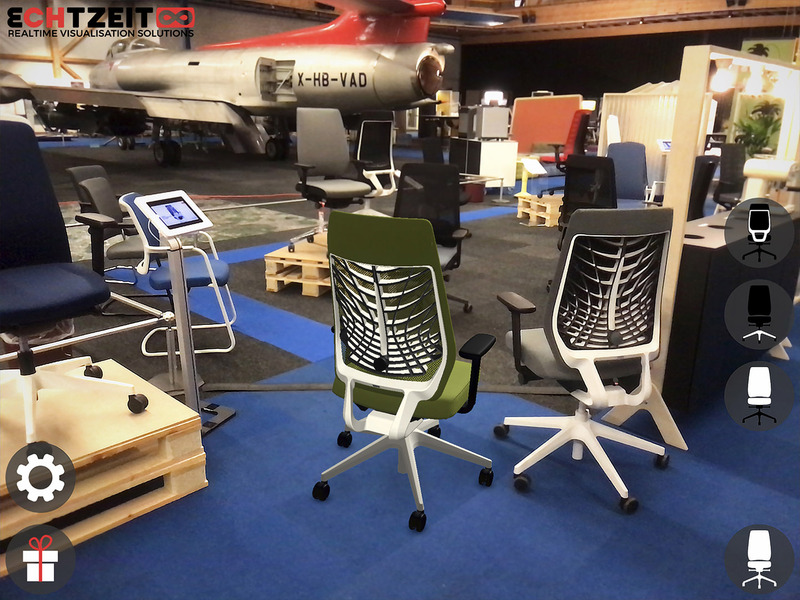 Echtzeit GmbH is very pleased with the extremely positive feedback from the trade fair visitors and thanks Veriset AG for their cordial cooperation! 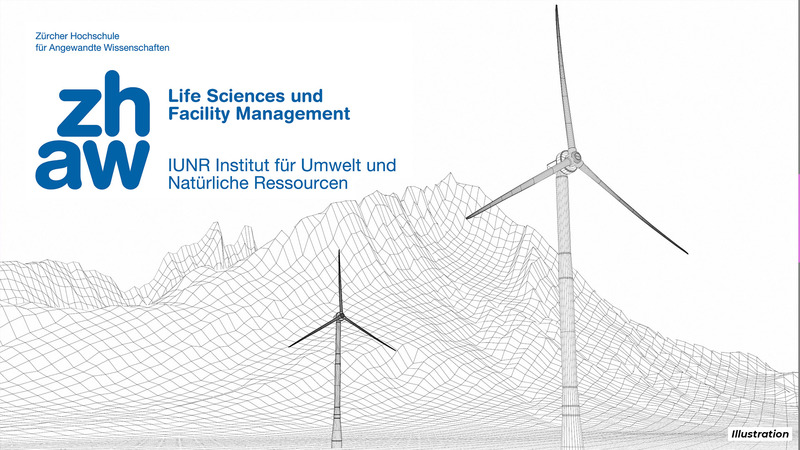 In close cooperation with the research groups "Integrative Ecology" and "Renewable Energies" of the Zurich University of Applied Sciences (ZHAW), Echtzeit GmbH has developed the Augmented Reality App "AR-Wind" for iOS and Android mobile devices. 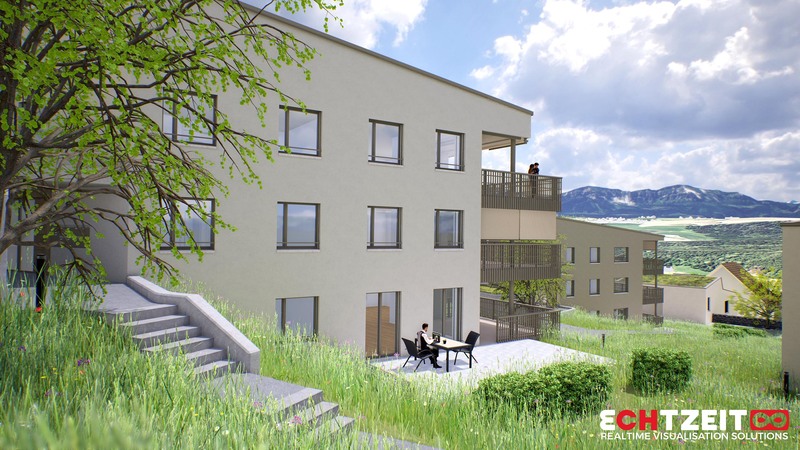 The project implementation was supported by the Swiss Federal Office of Energy (BFE) and the High-Tech Centre Aargau through a grant for innovative development projects between universities and business partners from the Research Fund Aargau. 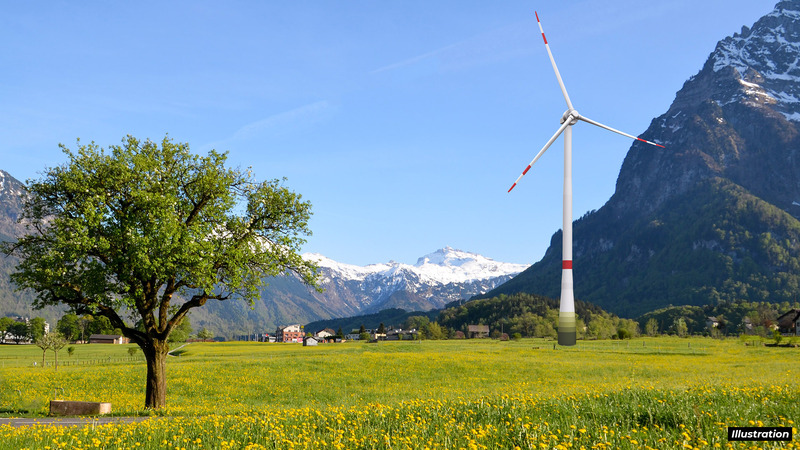 The AR project was developed against the background of the energy revolution in order to provide citizens affected by development measures with a neutral basis for decisions on voting by visually representing the planned wind turbines in their real environment. 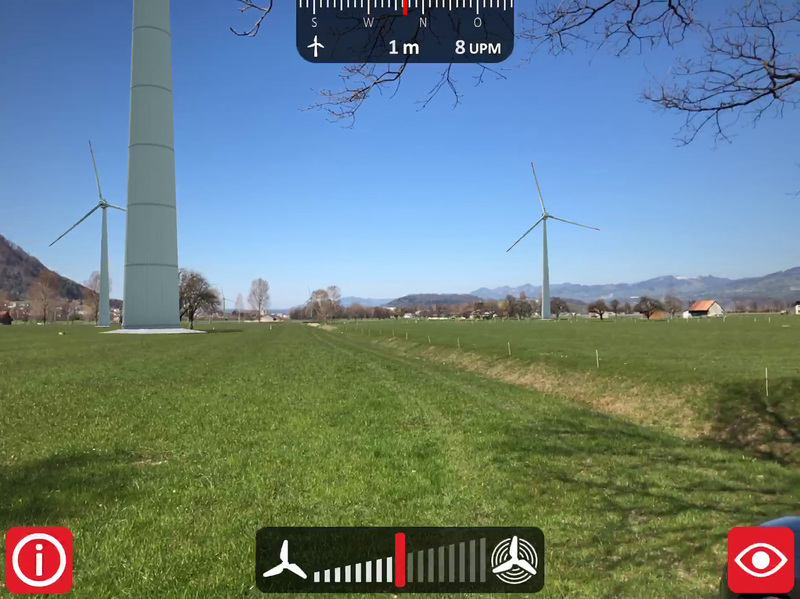 By using GPS device data, the AR app enables an exact positioning of the virtually created wind turbines in the landscape according to exact size and orientation, depending on the user's position. 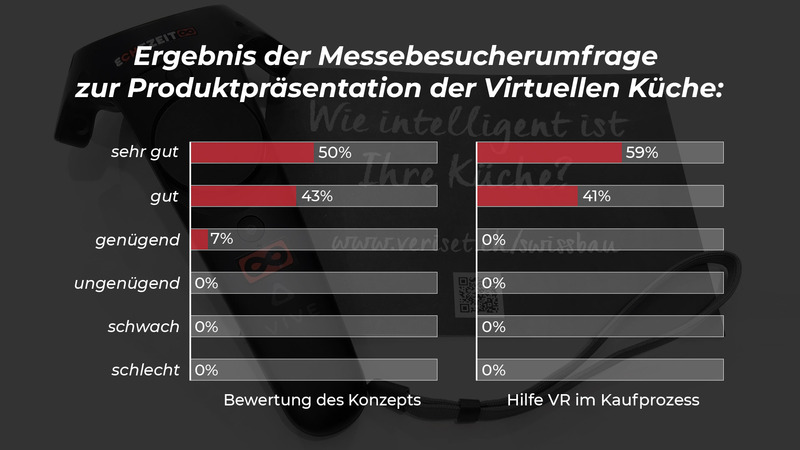 In connection with the high accessibility by the population through the increasing use of AR-enabled devices such as smartphones and tablets, a large part of the population can get a realistic and neutral picture of the actual situation. 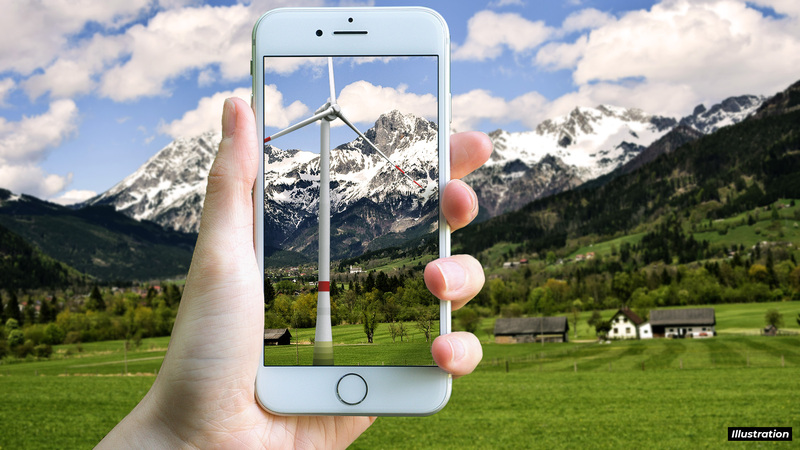 Additional app functions such as manual speed adjustment of the rotors, fading in and out of individual wind turbines, an integrated compass and automatic distance measurement make the AR app an informative experience. 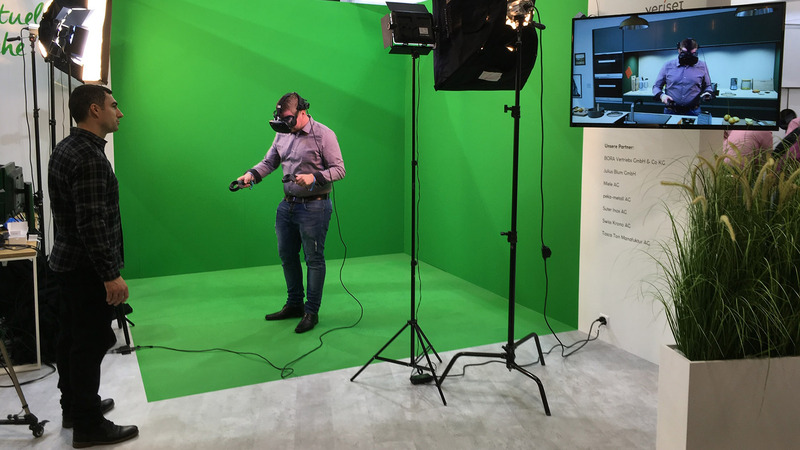 For people interested in buying, various condominiums and the entire neighbourhood environment can be experienced in virtual reality. 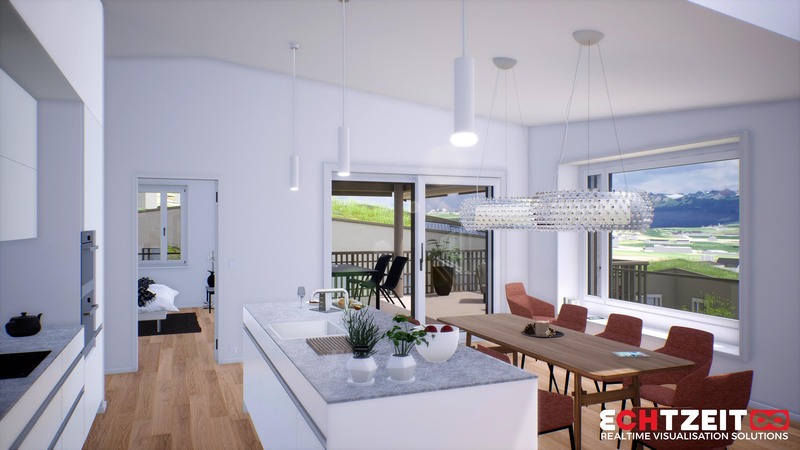 The virtual tour of the building project makes it possible to experience the potential dream apartment in photorealistic quality, to test it extensively and to empathize with the aesthetics of the project in order to make well-founded decisions before the undertaking is realised. 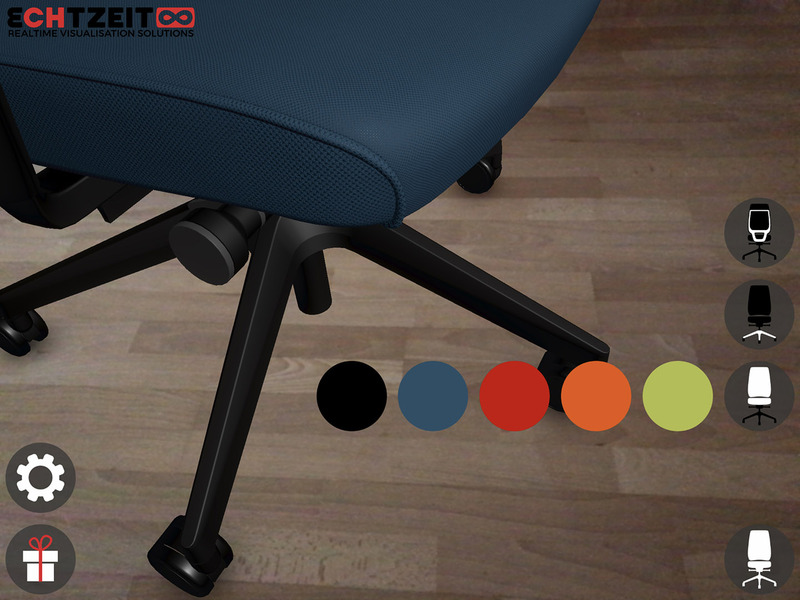 To support the marketing process, colours and materials of various surfaces can be adapted and combined directly by the user in real time. 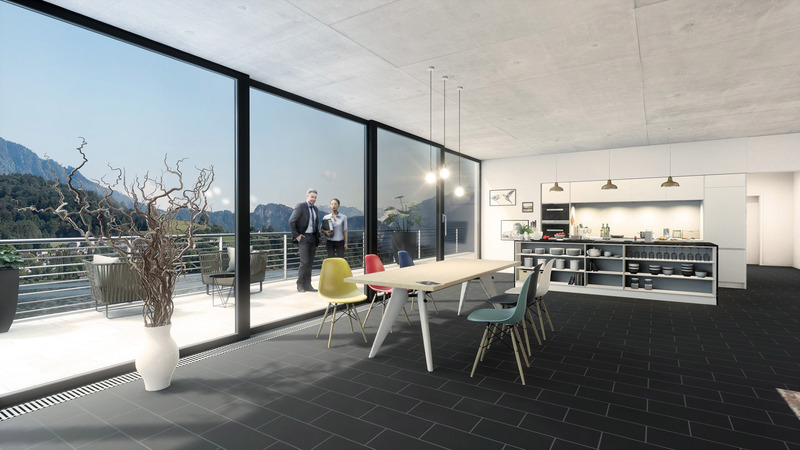 By precisely recreating the surrounding landscape and combining it with interactive lighting simulations, users can enjoy their quarters, condominiums and panoramic views in various lighting moods of morning or evening sun. The detailed vegetation and animated by-passers create a lively environment. 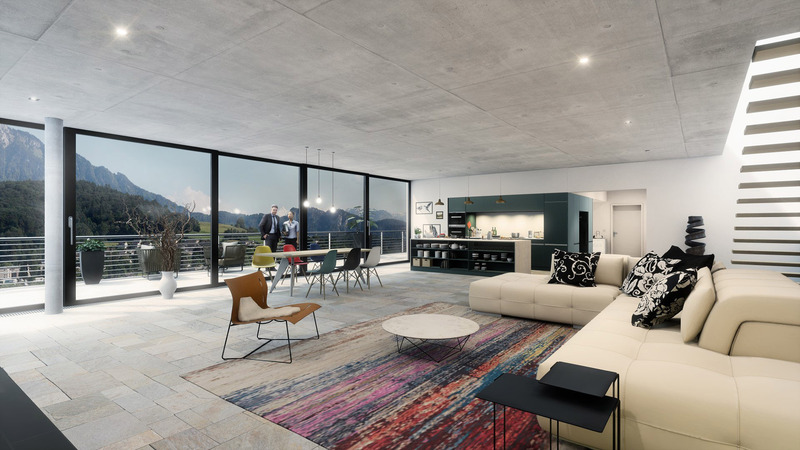 Echtzeit GmbH is responsible for planning, implementation and integration-advice of the entire VR project and is in close contact with the core team of Eberli Sarnen AG, the responsible planning architects and the landscape planners. 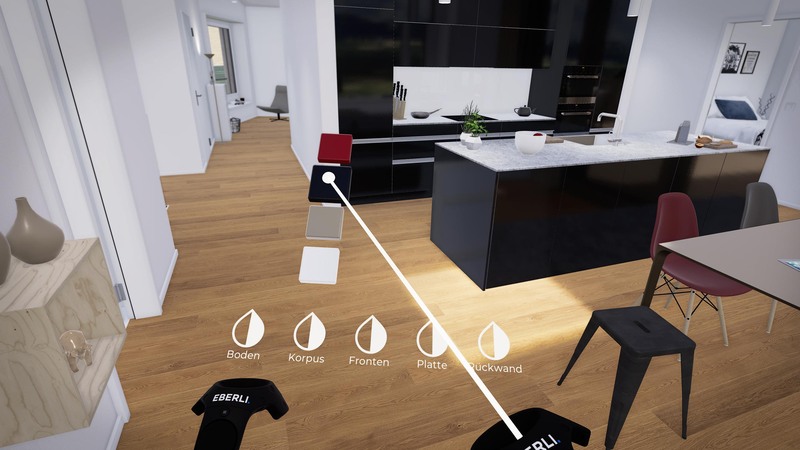 The goal of the future-oriented cooperation between Eberli Sarnen AG and Echtzeit GmbH is the sustainable integration of VR technology in the development and marketing of real estate. 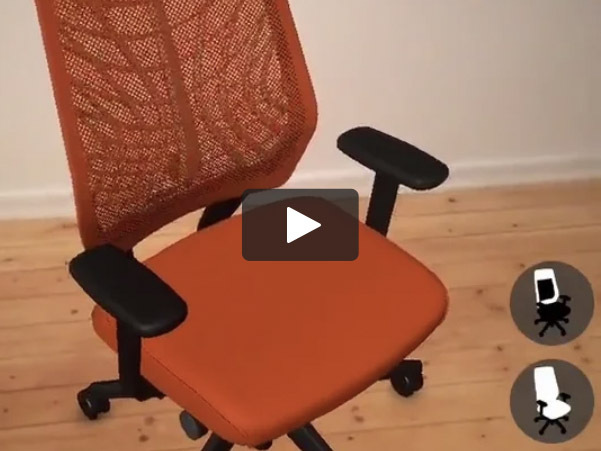 As a surprise for the 40th anniversary of ergodata AG, the producer of modern, flexible and ergonomic office furniture from Zurich Altstetten, Echtzeit GmbH has developed the App AR-Chair. 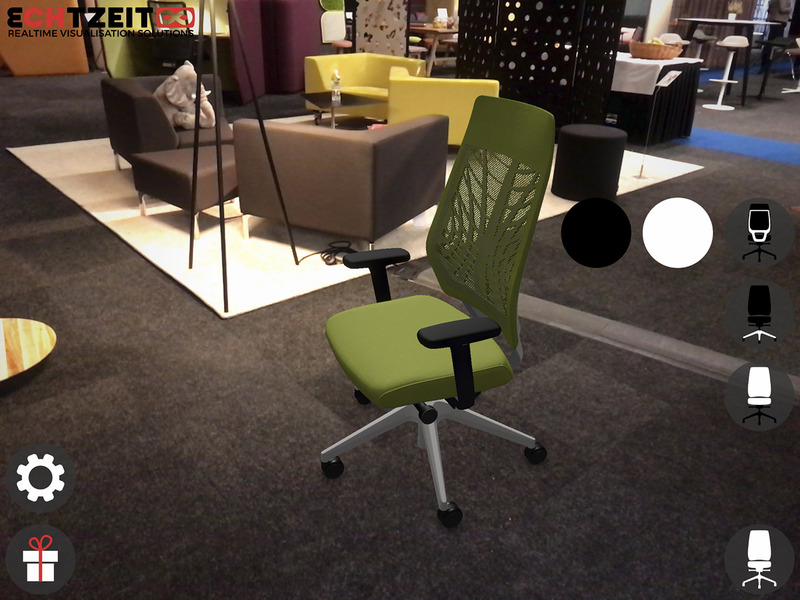 The app makes it possible to place virtually created furniture freely in the room, adjust its material and colour interactively according to the collection and thus test its appearance in a real environment. 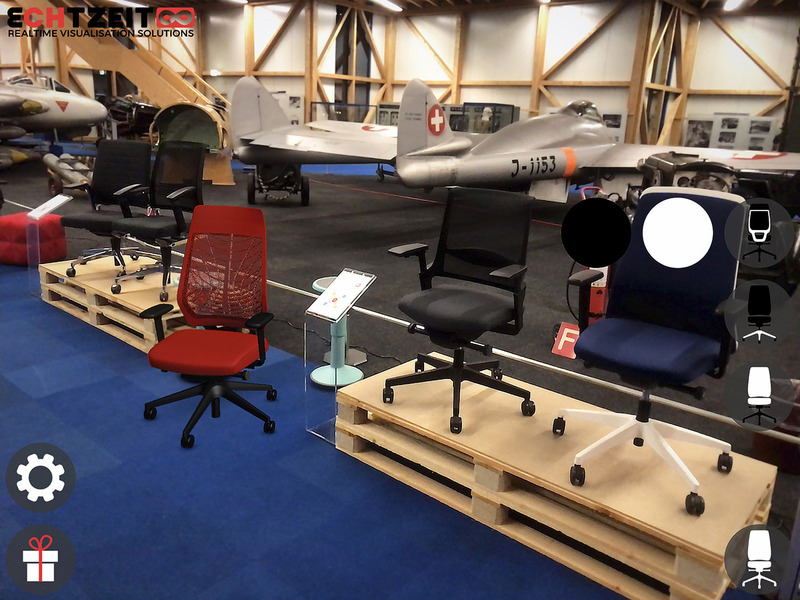 Detailed 3D models combined with high-quality textures make the app an almost photorealistic experience. As a small, funny special feature for congratulations, a birthday cake and gifts can also be placed using the gift button.